Many individuals have the misconception that only families, those with significant assets, or business owners benefit from an estate plan. However, estate planning is an important consideration for young adults, unmarried persons, and those with modest to few assets as well. Forbes reported in 2014 that just over half of Americans ages 55 to 64 had no will. When deliberating who the best candidate for an estate plan is, the majority of Americans should change their mindset and understand that everyone needs a plan. College students. The Triangle area is home to tens of thousands of college students. University of North Carolina-Chapel Hill enrolled almost 5,000 undergraduates in the fall of 2015. Duke University enrolled nearly 6,500. North Carolina State University enrolled about 5,400. Considering existing enrollees, graduate schools, and residency programs—the students in this region contribute to a significant portion of the population. 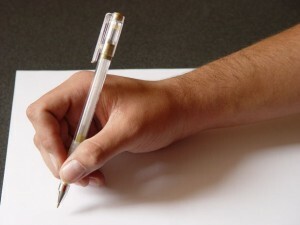 Although an estate plan is likely the farthest task on a college student’s agenda, having powers of attorney in place can help to provide peace of mind to the student to ensure that a parent or trusted person will be authorized to handle healthcare and financial matters expediently in the event of a debilitating accident or injury. Without proper documents, a parent or guardian might need to petition the court for authority over healthcare and financial decisions; this can be an expensive and lengthy process, and any delay in having a guardian appointed might be detrimental in a medical crisis. Another consideration that almost all college students must manage is student loan debt. A regularly updated estate plan can be crafted with asset protection in mind if a student is concerned about creditors post-college. Singles. Unmarried persons may not have a concern about providing for a surviving spouse in the event of death or incapacitation, but may have a significant other, ailing parent, or relative they would like to leave their assets to. Having a will or revocable living trust in place can ensure that assets are left to the intended beneficiary. Moreover, an estate plan provides a legal framework for more than asset transfers. If an individual is diagnosed with a disabling condition or suffers an injury, who will make critical medical decisions or manage finances on their behalf? Estate planning documents such as advance directives and powers of attorney appoint a trusted person to oversee these matters. Child-free couples. Couples who have not yet had or do not plan to have children don’t need to rely on estate planning documents to choose a guardian or start a child’s 529 College Savings Plan. However, these couples still should consider developing regular estate plan reviews to ensure that their partner or spouse is provided for should an unexpected illness or death occur. Couples can complete living wills and powers of attorney to advise their partner or spouse on wishes concerning life prolonging measures and to ensure that their partner or spouse has authority to make medical decisions and manage financial matters on their behalf. They should also regularly review beneficiary designations on retirement accounts, life insurance policies, and other assets to reflect the name of their partner. Outdated designation forms could legally entitle a former partner or ex-spouse to the respective assets. Also, in North Carolina, married couples who own real property have the option of holding title as Joint Tenants by the Entirety, which can help prevent to creditor claims against one spouse from attaching to the property. 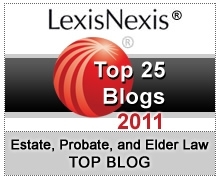 Estate plans are not merely a sum of the components of a will, trust, or powers of attorney. Rather, planning is a comprehensive approach that incorporates review of assets and asset titling, tax implications, and immediate and future needs. Share this information with those who have no plan in place. Ultimately, no one is exempt from benefiting from estate planning.